We all relish the moment in March and April when we can shed our winter shell of layered sweaters and snow boots in exchange for umbrellas and galoshes. But every season has its exceptions and for Spring that exception is the return of seasonal allergies. Nasal and eye allergies caused by pollen from local trees and grass, allergic rhinitis (hay fever) and increased issues for asthma sufferers are par for the course in March, April and May. While April showers bring May flowers, the showers can also kick up mold, pollen and other common allergens that make Spring a beautiful time to suffer. Healthcare distribution is very important to support supply chains so healthcare providers are well equipped to help allergy sufferers through diagnosis and treatment throughout the country. California – Its dryer climate due to lack of precipitation and allergens from local fruit orchards and agricultural areas further contribute to allergy issues. California also doesn't experience distinct seasonal changes, which inhibits mold spores from going away with seasonality like other areas in the U.S.
Kentucky and Tennessee – Bluegrass is a powerful allergen, due to its ability to create more pollen than any other U.S. grass. Pollen from birch, maple and oak trees are primary culprits for Appalachian allergy sufferers and surrounding mountains inhibit relief by trapping allergens in mountain valleys. New York – Pollen from oak and elm lead to itchy eyes and runny noses. 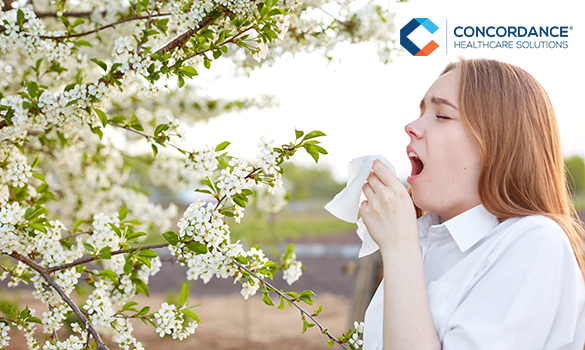 Due to its geographic location, pollen stays around longer giving it more time to cause aggravation. Avoidance as treatment – Advising seasonal allergy patients to limit time outdoors during peak hay fever season, is one strategy to treating an allergy. Allergen immunotherapy (allergy shots) can decrease symptoms for those that suffer from allergic rhinitis, allergic asthma and allergic conjunctivitis (eye allergies). Oral immunotherapy is also available to treat ragweed and grass allergies. Antihistamines counteract allergy symptoms like itching, sneezing and watery eyes. Over-the-counter nasal sprays can eliminate nearly all allergy symptoms. Face masks – N95 respirator masks can help when cleaning, dusting or vacuuming which can churn up indoor allergens. Facial masks can also help with outdoor dust, smoke and other allergic triggers. In Spring, tree allergies are most prevalent as they start to bud, bloom and release pollen, but seasonal allergies plague patients year round, not just in Spring. Summertime is the 'heyday" for hay fever, with grass allergies causing suffering from lawn care, mowing and weeding. Autumn is ragweed's season to shine with its pollen as a common and potent allergen causing, sometimes severe, allergy symptoms. Also, at play throughout the year are regional allergies as described previously above. 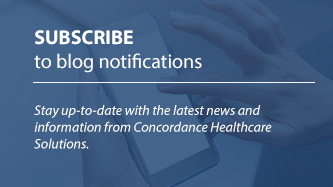 Concordance Healthcare Solutions carries a variety of products from thousands of suppliers. Learn more about how we can supply the allergy trays, small syringes and other products you need.